The rule requires visitors to fly in and out of Minsk's main airport. Young people jump over a bonfire as they take part in the Ivan Kupala Night celebration, a traditional Slavic holiday, outside the small town of Turov, some 270 km south of Minsk, on July 6, 2016. Belarus on Tuesday announced that it is extending visa-free travel for tourists from five days to 30 days in a move that could attract more visitors to the ex-Soviet state on the European Union's doorstep. [post_ads]Strongman ruler Alexander Lukashenko signed a decree allowing visitors from 80 countries including 39 in Europe, as well as the United States, Australia and Japan to stay for 30 days. The ruling will enter force when the decree is published in one or two days. 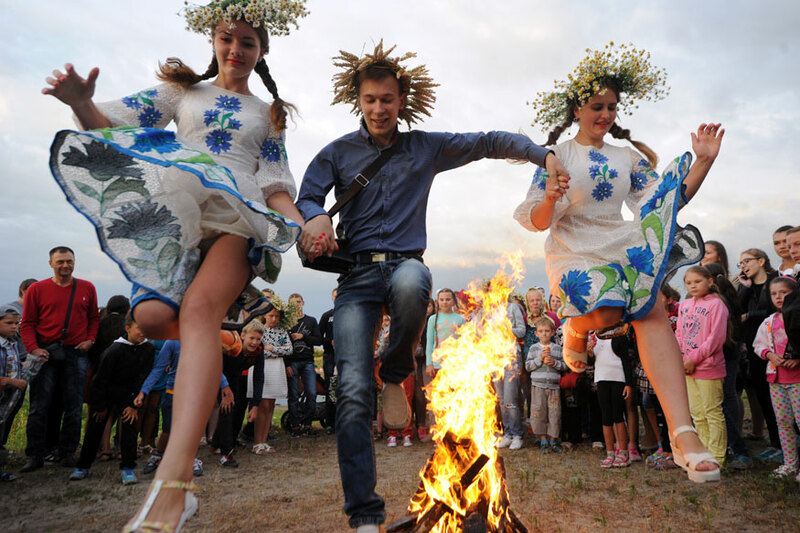 The decree says the move is aimed at "promoting further development of the Belarusian tourism sector" as well as making the country more attractive as a host for sports events and festivals and improving its connectedness to the global economy. Belarus said it is keen to promote itself as a medical tourism venue and for people keen to recuperate and undergo spa procedures at its sanatoriums. The visa-free rule requires visitors to fly in and out of Minsk's main airport. As before, the visa exemption does not apply to foreigners arriving or leaving from Russia because of a lack of border controls betweeen the neighbours. Minsk has close ties to former Soviet master Moscow, with Belarus part of an economic union with Russia. Chinese people will also be covered by a separate visa agreement that comes into force in August. Ties between Belarus and the European Union have improved since the 28-nation bloc began lifting most of its sanctions on the country in 2015 after Lukashenko released high-profile political prisoners.